If you currently provide SEO services to one or more websites that have a presence in a niche, then you probably already know that there can be complications and misunderstandings between parties. Many brands and business owners have a narrow view of the world when it comes to what they expect from their websites, but SEO encompasses a whole array of areas that these individuals may have not considered. As such, it falls on the hands of the SEO developers to explain these needs to clients as the situation dictates. 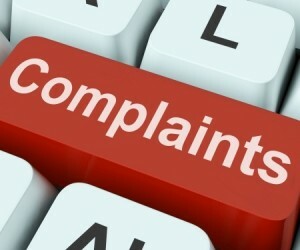 You will no doubt run into complaints and concerns, so it is best to know up front what to expect. In the following article, we will discuss some common complaints you can expect to hear when working for others in the world of SEO. One area that is no doubt an issue for many brands and businesses is the cost of SEO. For most, the need to see tangible results in exchange for pay is a common phenomenon in the world of business, so it comes as no surprise that there will be resistance when you attempt to provide services to clients that may not reap immediate results. Pinging for SEO is a gradual process that does not demonstrate immediate value, and the conveying of this information to clients is key. A common motivation for many businesses to engage in these needed services is to remind them that their competitors understand the need for SEO on a daily basis. Inexperienced webmasters will believe that because their WordPress installations claims to be “optimized for SEO” or that they have already bought a service, that no further management is needed. SEO is a constantly evolving art and as such, it requires constant management to remain on top of search results. Those brands that understand this notion will be the dominant players in their niches. We recommend that you obtain metrics and analytics for competitors and big brands in the game and show them to your clients, as a way to emphasize what they are doing is having an effect. We all know that search engine algorithms are subject to change, and with that, the rankings that you may have previously earned. As a result, some webmasters will inevitably complain and claim that your tactics have not worked. It is important to explain to clients at the beginning that these issues can and will occur. With an understanding that SEO is an evolving art that requires consistent moderation, you can help alleviate some of these concerns and keep an open line of communication with clients even in the worst of times. No one-time investment in SEO will yield permanent results, so be sure not to promise this to your clients in order to avoid negative situations in the future. SEO clients are known to be fickle and argumentative, so it is important that you know this upfront and can handle the situations as they arise. Customers will want to know why they need your services in addition to basic benefits they already enjoy, why their rankings may be subject to change over time and why these services are so expensive. SEO takes time, energy and consistent dedication in order to maintain; like all investments, there is no silver bullet for a client and they should always be aware of this.